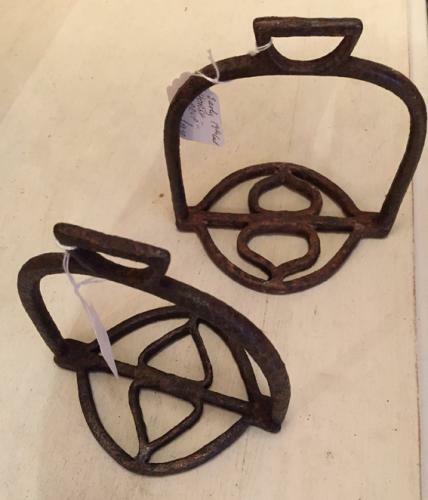 18th Cent Riding Stirrups. Almost matching but actually not the same design hence are for sale separately. Both Blacksmith made and very old.